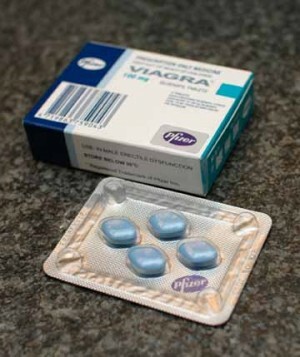 Viagra suggests vigor and virility and evokes the forceful flow of Niagara Falls. Zyrtec and Nexium feature fricatives that imply speed and advanced technology. Lipitor capitalizes on the word “lipids,” and the softness of Sarafem reassures women looking for premenstrual relief. Such explanations are put forward by drug and advertising companies regarding the strings of sounds that make up their products’ names, but whether they hold water is up for debate. Many of these made-up words seem to be nothing more than what a member of the U.S. Food and Drug Administration (FDA) describes as “a rhythmic cacophony of unpronounceable syllables and emphatic-sounding letters.” Drug-naming experts may offer meticulous explanations of the creative process behind names like Vivelle and Xyzal, but random mash-ups by simple computer programs like the “Drug-O-Matic” at WordLab.com produce equally likely-sounding words like “Runiva” and “Oxyflexol” at the click of a button. Certainly there is a great deal at stake. Branding is so crucial to the success of a new drug that pharmaceutical companies spend years and anywhere from $250,000 to $2.5 million just to come up with a medicine’s name. Sometimes a name is submitted for approval and banked before a product even exists to attach it to. Drug companies and the branding agencies they hire strive to create a name that consumers will find inspiring, comforting, authoritative, fast-acting, or personable. They want it to tell doctors and patients something about the drug—to evoke a mechanism of action or an emotional state or lifestyle. They want it to sound effective, safe, and generally good. Above all, they want it to be memorable and easy to pronounce; that way patients will remember the drug they saw on TV and confidently request it from their doctors. A good name also allows doctors and pharmacists to say it and write it without confusion. To be marketed globally, it can’t have negative connotations in other languages. And it has to be unique yet innocuous enough to pass through a maze of trademark and safety regulations. One wonders how drug names can do all this within two to three syllables (four at most, say naming specialists) and no more than nine letters. Drug names don’t exist in a vacuum. They’re only one part of multi-million-dollar ad campaigns that include a central message supported by commercials and print advertisements as well as physical properties of the drug like its color, shape, packaging, and even scent. The name alone is “like a drop of water in the ocean,” says William Trombetta, a professor of pharmaceutical marketing at St. Joseph’s University in Philadelphia. “You can give me any name, and I could turn it into a billion-dollar blockbuster.” Steve Manning, managing director of the branding firm Igor, made a similar statement to The New York Times: that any made-up drug name could be substituted for any other made-up drug name. Perhaps Prozac could have sold just as spectacularly if it had been named—let’s try the Drug-O-Matic—Evonex. In some sense, the name itself could be anything, and with enough cleverness and money, it could be made to mean whatever its manufacturer wants it to. In 2000, Loyola College marketing professor Richard Klink set out to determine whether brand names can affect people, even in the presence of other persuasive tactics like advertising. In his paper, “Creating Brand Names With Meaning,” Klink first established that people—well, 265 college students, anyway—infer information about (fake) products based on the sounds within their (fake) names. He did this by asking questions such as “Which gloves are warmer, ‘mig’ or ‘mog’?” and “Which cars are smaller, ‘fazz’ or ‘kazz’?” and finding trends within their answers. Then, based on the students’ response to certain sounds, he showed eighty-five different students one of two ads for a made-up item, differentiated only by one letter in its brand name. So for example, some students saw ads for a motorcycle called “Galp,” while others saw ads for the motorcycle “Valp”; the rest of the page contained the same slogans and pictures. When asked whether the motorcycle was fast, students who’d seen “Valp” rated the motorcycle higher than those who’d seen “Galp”; when asked whether the bike was big, the results reversed. The students’ responses showed that the vowels and consonants in brand names were still conveying information on their own, separate from the rest of the ad. Klink concluded that the brand names themselves do have power, both within and apart from the brand packages in which they’re embedded. He even suggested that advertisers take this into account when crafting their products’ names and brand strategies. It seems drug names can have a power of their own, despite being subservient to the overall brand message. Can this power be harnessed? Can it be fine-tuned? It turns out that there are methods to the drug-naming madness. What looks like an alien language to us, riddled with “z”s and “x”s, is actually based on psychological reasoning and a set of unwritten rules that’s deeply human, from well-grounded names like Prevacid to the seemingly nonsensical Zingo. Drug-makers and ad agencies piece together fragments of words and individual sounds in deliberate patterns to elicit specific emotions in consumers and convey information about what their products will do. Drug names are restricted by federal guidelines designed to ensure safety and protect copyright. “If it was just the alphabet letters, it would be easy,” says Trombetta. University of Illinois at Chicago linguist Bruce Lambert agrees: “It’s not easy to find a name with all the right connotations, that’s easy to pronounce and remember, and that meets all the constraints simultaneously.” Marketers must find ways to be creative within these sets of restrictions. When a new drug is developed, it first has a chemical name: for example, 7-chloro-1,3-dihydro-1-methyl-5-phenyl-2H-1,4-benzodiazepin-2-one. Next comes its generic name, created by the U.S. Adopted Names Council and often derived from the chemical name to inform medical professionals about the drug’s purpose, mechanism, or content. In this case, it’s diazepam. Then the pharmaceutical company can concoct a few catchy brand names, also called trade names and proprietary names, and submit them to the FDA and the Patent and Trademark Office (PTO). If one gets approved by both agencies—and it’s far from guaranteed; the FDA rejects about a third of the 300-400 drug names it reviews each year—it’s what you’ll see splashed across magazine and Internet ads, prescription pads, and TV commercials. Diazepam becomes Valium. The FDA’s Center for Drug Evaluation and Research insists that a new drug name be distinctive, so it won’t be confused with preexisting drugs and result in harmful misprescribing. According to the FDA, about ten percent of medication errors by doctors and pharmacists are the result of drug-name confusion. The FDA uses computer software to analyze how close the name is to drugs already on the market, and consults with doctors, nurses and pharmacists to test whether the proposed name looks or sounds like others when it’s written on a prescription pad or spoken over the phone. It’s not always obvious; scrawled in script handwriting, the diabetes drug Avandia has been mistaken for the blood thinner Coumadin. The brand name is also checked against generic names, medical products, and common medical abbreviations (such as “bid” for the Latin bis en die, or “twice a day”). Potentially confusing names are rejected. Sometimes a drug name is approved only to be retracted later. Prilosec began life as Losec but had to be changed when it was repeatedly mixed up with an unrelated drug called Lasix. Brand names also can’t make medical claims or unsubstantiated promises; imply superiority, effectiveness, or safety; or suggest that the drug can be used for something the FDA hasn’t approved it for. These rules changed the smoking cessation drug Champix, which promised too much by sounding like “champion,” to Chantix. Similarly, Rogaine wasn’t allowed to be called Regaine. Brand names can get away with slightly more in Europe; Champix and Regaine are acceptable there. But its FDA equivalent, the European Medicines Agency (EMEA), still rejects as many as fifty percent of the drug names it receives. The EMEA’s Name Review Group watches out for name confusion, misleading implicit claims about the drug’s efficacy or purpose, and misinformation about what the drug is made of. The FDA hasn’t released guidelines on how to produce a name that’s likely to be approved, although they are expected to within the next few months, according to Lambert. Because of that, and because the PTO and FDA don’t always agree on what constitutes an acceptable name, many drug and ad companies mimic what they know of the regulatory process to maximize the chance that their expensively developed names will be approved. They conduct their own hearing and writing tests, use software developed by Lambert and others to compare name similarity, research national and international trademarks, and perform linguistic checks across languages. Often, a team of linguists checks the candidate brand names for negative or offensive connotations in as many as forty languages to prepare for international marketing. Nobody wants their new antidepressant to mean “murder” in Mandarin. And it isn’t solely the pharmaceutical companies or their consultants who worry about these things. The EMEA actually forbids the approval of drug names that sound offensive in any European Union language. Gone are the days of the infamous Chevy Nova, when sales of a car that sounded spacey and energetic in the United States flopped in Spanish-speaking countries because no va means “doesn’t go.” Now, stories sound more like this: The branding company Nametag International was preparing a drug called Soarus for international distribution when its linguists found out about the Yiddish word tsouris, meaning “trouble.” For a warmer reception, they changed its name to Soarian before marketing it in Israel. Certain letters and combinations of letters tend to be avoided because they don’t exist or are hard to pronounce in other languages. That’s one reason you don’t find many instances of “h,” “j,” “w,” “k” and “th” in recent batches of drug names. Speakers of certain languages may never have encountered those sounds before or may have trouble saying them—and one of the golden rules of brand names is that they must be easy to pronounce. Ultimately, says Piergrossi, pronunciation is taught. “Brands are not presented in a vacuum,” he notes; the pronunciation of a new drug name is spoken from the sales representative to the physician, from the TV to the patient, and from the doctor to the patient. This “chain of command” conveys—and controls—a drug’s pronunciation from the pharmaceutical company to people around the world. What the drugs do provides another easily grasped and memorable source for their brand names. The laxative Visicol helps make the colon visible before a colonoscopy, and Glucotrol controls high blood sugar, or glucose. Similarly, part of the condition treated often appears in the names. Allegra improves allergy symptoms, and it isn’t hard to guess that Relenza provides relief from the flu—or influenza. Names can be inspired not only by what the drugs do but by how they do it. Celebrex, Vioxx, and Bextra are cox-2 inhibitors, and Namenda is an NMDA receptor antagonist. For those of us without medical degrees, there are Estroderm patches that secrete estrogen through the skin. Meanwhile, the vaccines Decavac and Tenivac helpfully remind us to come back every ten years for booster shots. Names might include a clue about how the drugs are made. If you spot a “bio,” “gen” or “cell,” you’re probably looking at a genetically engineered drug from the biotechnology industry. Pharmaceutical companies also like to name their products after themselves. Witness Sandoz AG making Sandimmune, Sanorex, and Sansert; and Amgen producing Neupogen and Epogen. Then there are the bits that get built into these names around such meaningful cores—or sometimes without any cores at all. Another popular method is to evoke words related to what the drug promises. This may take the form of imagery and an emotional state (the sleep aid Lunesta evokes the moon and “rest”), a foreign word (French ciel for “sky” in the erectile dysfunction drug Cialis, or the British insomnia drug Stilnoct after the German stille Nacht), or a complete real word (Sonata for insomnia). The metaphors can be very pretty. A pair of European researchers describe how an antipsychotic called Sordinol comes from “sordini,” the mutes or dampers on a stringed instrument, suggesting to people that taking Sordinol will quiet their problems. The way brand names echo related words also suggests sounds drug companies and advertisers want to avoid. You won’t find many instances of “mal” (bad), “mor” (death), or “pu” (putrid) in the latest cholesterol drug. Indeed, these individual letters and sounds are playing an increasingly critical role in conveying information and emotions about drugs. Branding specialists proclaim that “z,” “k,” “c,” and “g” sound strong and reliable. They assert that plosives like “p,” “t,” “k,” and “c” are powerful-sounding, whereas “l,” “r,” and “s” are calming and relaxing. Linguistics suggests there’s something to this, even though it sounds like post hoc rationalizations about the tiniest parts of drug names. Brand names, like all words, can be broken down into syllables and then into phonemes, the smallest packets of sound, like “sh” and “o.” A branch of linguistics called sound symbolism argues that phonemes convey as much meaning as the word itself—and it happens without our realizing it. It’s even more fundamental than when letter clusters in the drug name remind people of other words. “When a person hears a name for the first time it is never neutral. It always carries with it some feelings or emotional/subliminal reactions,” writes Jim Singer, president and creative director of the branding company Namebase—and one of the people who named Prozac—on Namebase’s website. Brand Institute chairman and CEO James Dettore told The New York Times that he calls it phonologics, the subliminal indications of sounds. His second-in-command, Scott Piergrossi, calls it tonality: “The pronunciation of a name that is heard that communicates a particular feel to the target audience suggesting a particular benefit or attribute of the drug.” Whatever term they use, these top executives in drug naming are aware of the theory of sound symbolism—Singer refers to it by name—and use it to construct names that convey certain impressions about the drug to patients and doctors. “Some of this stuff like the ‘p’ in Prozac or the ‘z’ or the ‘o’ or even the fact that the final syllable has a full vowel—all of those things can and do have an effect on meaning,” says Will Leben, a linguist at Stanford University who has conducted studies on sound symbolism and branding. In 2001 Leben and colleagues from the University of California and Lexicon Branding, Inc. looked at whether people could infer emotional attributes of products from sounds in their brand names. A series of more than sixty questions like “Which sounds more alive, ‘Sekka’ or ‘Zekka’?” posed to over four hundred adult native speakers of American English showed that certain kinds of letters carried specific connotations. Names with voiceless fricatives like “f,” for instance, sounded sadder and more insecure than those with voiced fricatives like “v.” “I think it’s perfectly reasonable to go and do these analyses,” says Leben. Take vowels, for instance. One way linguists classify them is from high to low and front to back, based on how your tongue moves in your mouth while you make the sound. In 1929 linguist Edward Sapir asked people which of the made-up words “mil,” with its high-front vowel, or “mal,” with its low-back vowel, was a big table and which was a small table. A vast majority said “mal” was the bigger one. Sound symbolism studies like Sapir’s over the past century have found that the high-front vowels like “ee” and “eye” sound smaller, weaker, thinner, brighter, lighter, faster, softer, less assertive, and more feminine than low-back vowels like “ow” and “oo” across many languages. Linguists believe it has to do with the sound’s pitch—like animal cries, higher pitch suggests a smaller creature—and, as Singer writes, how big your mouth feels when you pronounce the vowel. The difference in vowel pitch and size helps advertisers and pharmaceutical companies sculpt drug names marketed to sound feminine or masculine, gentle or powerful. Hence part of the rationale behind Dettore telling the Miami Herald that Brand Institute’s Climara estrogen patch for women is a “pretty name” while the prostate drug Proscar has a “harder…more masculine” sound. Consonants play a weaker but still influential role. Voiced consonants like “g” and “v” use the vocal cords, while their voiceless equivalents like “k” and “f” don’t. Stops like “p,” “t,” “b,” “g,” “d,” and “k” are so named because air doesn’t come out of the mouth at first, while fricatives like “f,” “s,” “v” and “z” have less flow restriction. Like vowels, voiceless consonants and fricatives have a higher pitch than voiced consonants and stops. Findings like these may be what lies behind marketers’ beliefs that letters like “z” make drugs sound faster and “f” makes them sound softer. This also reveals the foundation beneath drug namers’ claims that plosives—the unvoiced stops like “p,” “t” and “k”—imply power as we physically force the sound out. Sound symbolism experiments that ask test subjects questions like whether “Pusk” or “Busk” provides faster overnight delivery have found that people apply a range of qualities to the object behind the name based on the consonants it contains. For instance, a 1996 study found that stops sound abrupt, tight, rugged, and inhibited, echoing Piergrossi’s naming rule that ending on an abrupt consonant implies efficacy or a “real end”—both to the word and to the condition it promises to treat. Altogether, sound symbolists have discovered patterns to how people infer things like size, speed, color, sound, gender, personality, and emotions from made-up names. All of these subtle messages work their way into drug names at the hands of savvy advertisers. While followers of sound symbolism acknowledge that the sound-meaning connection may be arbitrary, they still see consistent patterns within and across languages on every continent. This is invaluable for drug companies who want to market internationally; instead of working with word fragments that only have the desired meaning in a particular language or family of languages, they can select sounds that communicate the same message about their drug to consumers in any country. However, warns Leben, in all the excitement over sound symbolism, advertisers may leap to an invalid conclusion. “[The] bad thing that happens is that people who are in a hurry to copy the idea that’s exciting everyone don’t bother to research,” and so come up with ill-founded analyses. To determine whether the puzzle pieces of drug names really have the effect on people advertisers say or hope they do, Leben suggests that claims about the effects of particular sounds can be tested just as scientifically as the drug itself. But they mostly haven’t been so far and claims about drug names have to be extrapolated from general brand name studies in marketing and linguistics. These have shown that people read meaning into new words from the sounds those words contain—and that what consumers find when they parse a brand name affects their feelings about that product, and, ultimately, their behavior. “Sound symbolism shows that the sounds of words still convey meaning. More important, consumers recognize this phonetic meaning and will use it as a source of product information,” researchers Eric Yorkston and Geeta Menon wrote in a 2004 study on the effects of brand name sounds on consumer behavior. Yorkston and Menon gave samples of ice cream labeled “Frish” and “Frosh” to college students and asked them to rate which one they liked more for its smoothness, creaminess, and richness. Some students were told just before tasting the samples that Frish and Frosh were the actual names the ice creams were going to be sold under, while others were told that these were test names. Yorkston and Menon found that students rated the ice creams about equally when they were told the names were placeholders, but more students preferred Frosh when they thought it was the ice cream’s real name. The low-back “oh” sound rather than the high-front “ih” sound in the brand name sounded more like the characteristics of a delicious ice cream, and that affected their choice when they thought the name mattered. And the results of an accompanying questionnaire showed that the students weren’t aware of the brand names influencing their preferences. We derive meaning from the sounds in words automatically and unconsciously, argue Yorkston and Menon and other sound symbolists. The second part of Yorkston and Menon’s experiment had the students taste the two ice creams as before, but this time they weren’t told until afterwards whether the names were real or meaningless. Instead of rating Frish and Frosh the same when told they were test names, the students were less able to shake off the influence of the names once they’d already experienced the labeled ice creams. Yorkston and Menon concluded that they could weaken the power of brand names by telling consumers when they’re introduced to the product that its name is meaningless. The same could be true of drug names. In 2008 a linguist and an oncologist studied a selection of consonants in the sixty most commonly prescribed cancer drugs at the Dana-Farber Cancer Institute in Boston. They found that chemotherapy drugs have more than one-and-a-half times as many light/small/fast sounds as common English, and they suspect that these voiceless consonants may subtly convince both doctors and patients that the therapies are more tolerable than they really are. The hormonal therapy called Femara may play on its soft, feminine sounds to lull patients and doctors into believing it offers a gentler treatment. If the positive sounds and embedded claims in drug names are indeed influencing patients’ and doctors’ opinions without their realizing it, perhaps people would be swayed less by being made aware of the names’ meaninglessness.